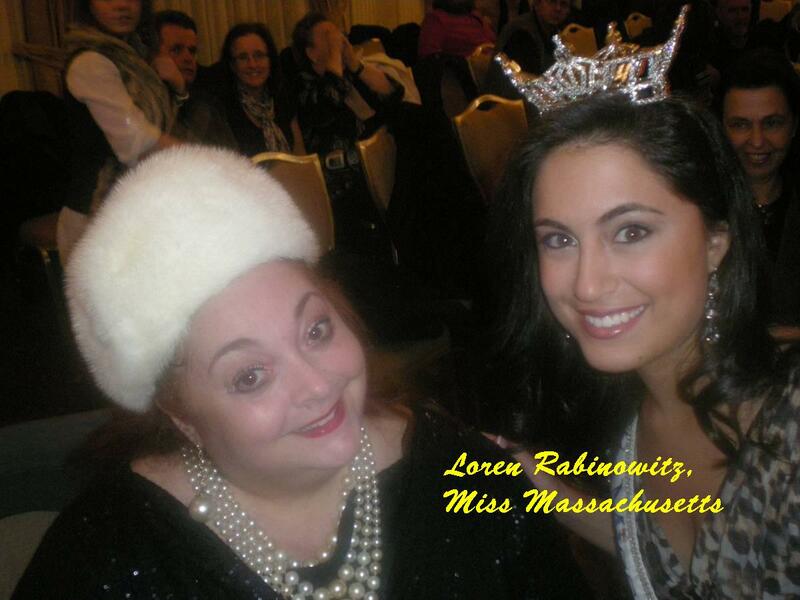 Miss Boston 2011 has been crowned! This was my first Beauty Pageant. I was elated! Many asked if I was ever a contestant! Wow....back in my day I was more the Disco Queen than a girl vying for Pageant Princess! The Miss America Organization brought to us here at the famous Omni Parker House a splendid tradition of beauty, talent, humor and brains. The event hosts were right on -- Dana Rosengard and Candy O'Terry brought out the best of the evening with great humor. I'm sure it was hard choices on the judges because all the girls were so absolutely talented and unique. The Beauties were from all over including Cambridge, Revere, So. Boston, Somerville etc. Naturally I pegged the winner from the top five. Sara Carlisle from Acton-now resides in Davis Square, Somerville. Her talent was an Egyptian Belly Dance that was exquisitely performed! She had this genuine look about her like nothing was an effort. She was confident and happy in her own skin. As my husband David quoted: "She looked like she was doing this pageant for the fun of it, she was already wearing her own crown of success." I was fortunate enough to have a private interview with Sara just minutes before the pageant. She is a professional horseback rider who has accomplished winning numerous regional and national awards and is a bronze medallist for dressage and eventing. She is quite a gal with a positive attitude and a bright future. The pageant was brilliantly choreographed-reminding me of boxing matches when the pretty girl struts the stage announcing the next round with signs. They had handsome fellows between dress changes showing off all their various talent! Including "Mr. Emerson" with a "Jacque-esque" semi-drag performance. The girls talents ranged from vocal, dance to classical piano. They were all luminous and unique. You certainly make many life-long friendships and as Stephanie Janes, Executive Director and President of this non-profit organization quoted "It's a great experience for mentoring all the girls"
Why support such pageants? They encourage young women to develop their talents, their education and experiences that will flourish who they can truly be for a lifetime. 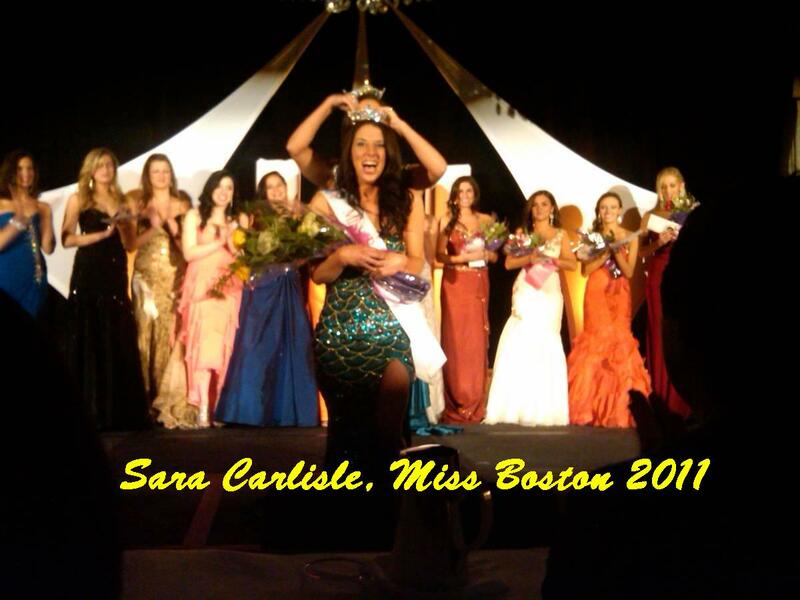 Sara Carlisle, our new Miss Boston 2011 will serve as a role model as an ambassador for Boston. We wish her well!